Ryanair today (29th Sept) met with the Irish Commission for Aviation Regulation (CAR) and agreed to implement a series of steps to address the CAR’s requirements to ensure that all customers affected by Ryanair’s recent rostering related flight cancellations are fully aware of their EU261 rights and entitlements, including full refunds, or re-accommodation onto other Ryanair flights or other comparable transport options with reimbursement of reasonable out of pocket expenses. 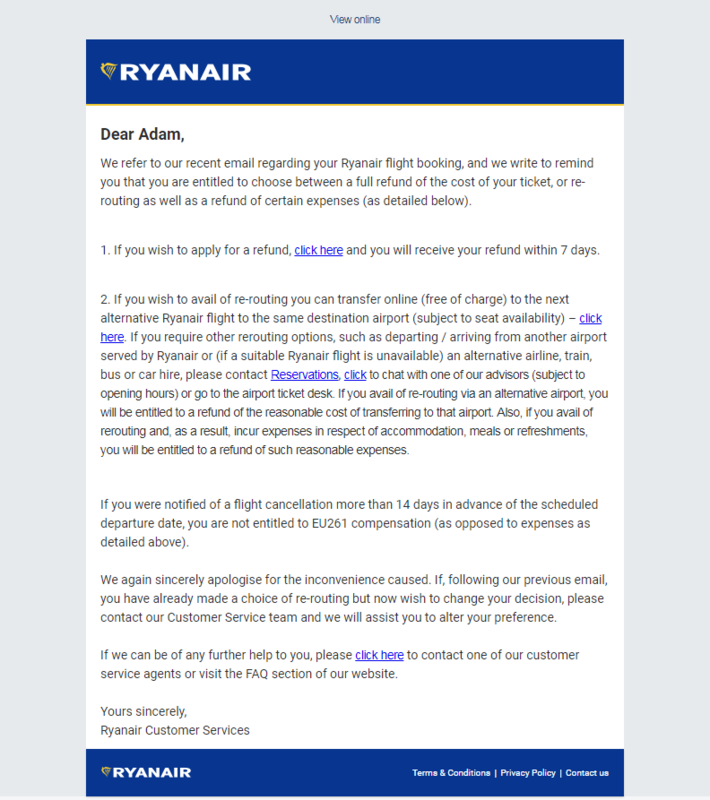 Ryanair has today issued a clarification email to all affected customers outlining their rights to refunds, re-routing on Ryanair or on other comparable transport options and expenses (see below). Ryanair has also today issued a press release explaining to customers how and when they will be re-accommodated on other Ryanair flights or other airline flights. This press release will be displayed on the home page of Ryanair’s website from today. Ryanair has updated the FAQ pages of its website to reflect all of these changes. 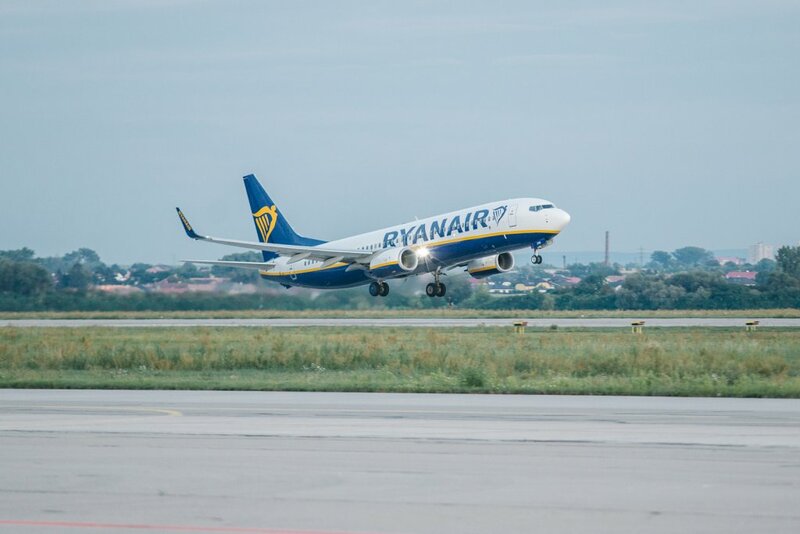 Ryanair has also today replied to the UK CAA letter of 28 Sept, agreeing to meet its requirement for customer clarification on Ryanair’s EU261 obligations, which are in line with those requested by the CAR. Ryanair has called upon the UK CAA to now require UK airlines to comply with these EU261 obligations which the CAA did not apply to British Airways in May this year, when a computer meltdown stranded hundreds of thousands of British citizens/visitors at London Heathrow and many other airports, with no apparent action taken by the CAA in respect of re-accommodation or enforcement against British Airways.